Ghostwatch: Behind the Curtains: Nurieek, Rotut, Hernunger, Sqweloookle..! 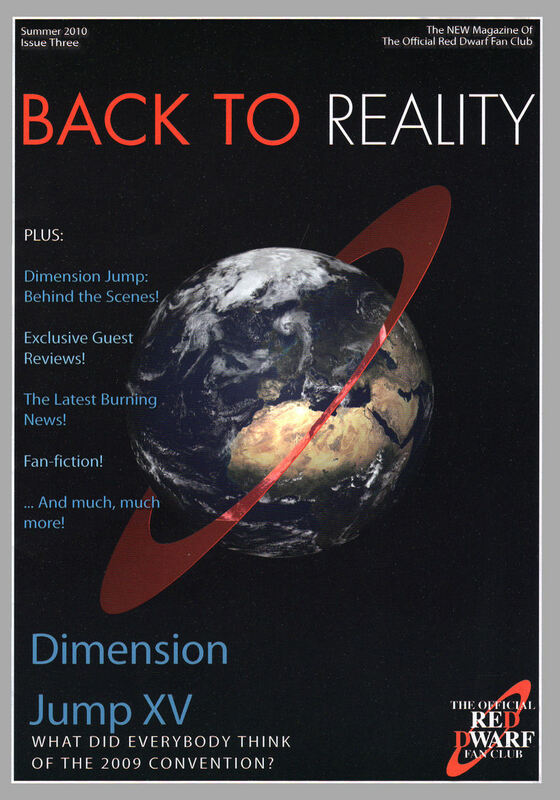 Many thanks as always to the wonderful Red Dwarf Fan Club team for their latest and greatest issue of Back To Reality - the occasionally regular, but always fun and informative magazine on all things Dwarfy. Yes, Red Dwarf and Ghostwatch have collided once again, this time on Page 10 in an article entitled, 'Ghostwatching: My Wonderful Obsession'. 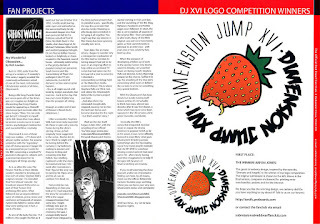 And if that wasn't enough, Behind the Curtains supporter and graphic designer extraordinaire, Arfon Jones' work is featured not once, but twice - after winning the logo design contest for the next convention! Congrats, Arfon! Oh, and if you still don't get the title of this article, do check out the Series VII episode, Duct Soup, in which these words are (possibly) delivered by Mr. Pipes. For the rationally-thinking/continuity-minded amongst us, just use your imaginations and think Jason X.